The key message of the presentation was that integrating a Registered Pharmacist into a Diabetes Care team can have a significant impact on patients that have challenges managing their diabetes. The presenters discussed how the grant was incorporated into their Diabetes Self- Management Education (DSMES) classes and how it provided patients with private one-on-one consults with the pharmacist. Successes achieves through the program and the outlook for the future of the program were also shared with attendees. 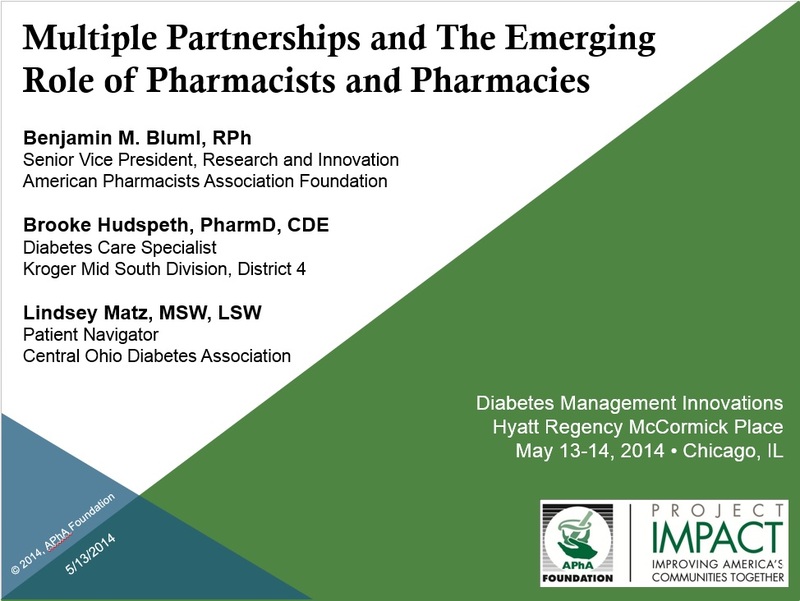 The presentation shared the great work that pharmacists are doing within integrative, diabetes care teams. 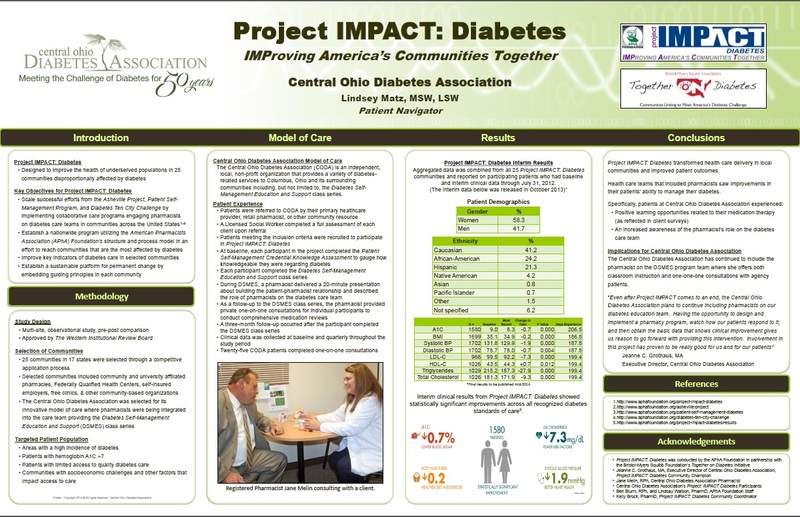 It showed how there were various settings involved with Project IMPACT: Diabetes and what the positive results were in the project. The Central Ohio Diabetes Association piece of the presentation specifically emphasized the missing piece of the pharmacist and how they were incorporated into their system. The summit offered an optimal location to share the successes of the project with an audience highly interested in innovation related to diabetes care. CODA exchanged contact information with a few attendees who are interested in starting similar organizations. They hope to be a resource to others who want to implement this type of program.